Commoditization threatens the independence of the traditional radiology group, creating competitors on a local, national and, perhaps some day, global level. In the context of corporate takeover, it could be described as the biggest threat to radiologists in private practice. Because of this concern, many radiologists are attempting to become more savvy businesspeople to compete with corporate entities seeing an opportunity to build efficiencies into a production line-style practice model. Unless radiologists recognize and learn to combat this mindset, they will encourage more commoditization and increase the risk to their independent status. Part of that savvy business effort includes understanding the component forces in the changing marketplace. Patients want simply defined services with excellent quality at a reasonable price—with price proving increasingly important as the portion of the cost shifted directly to the patient grows. Referring physicians may or may not care about cost but want quality services that are easy for them and their patients to access. Payers such as Medicare, Medicaid, and private insurance companies are more concerned about price than anything else. Sure, they want quality too, but price is their main driver. Proponents of a more market-driven healthcare system contend it should be self-regulated in pricing, availability, and distribution of services—particularly where competition and customer satisfaction are concerned. They contend that this will create choices driven by consumers that reduce costs and improve quality. On the flip side of the coin, opponents of the market-driven trend believe that the personal relationship between the provider and the patient and/or referrer is the central feature of a good healthcare system and the focus should be keeping great quality intact, not allowing cost to be the driver. Complicating the issue is the fact that, in healthcare, the customer is generally not the price driver. Having third-party payers alters the usual market-driven process. In healthcare, patients/consumers want top quality at virtually any cost (until it starts coming directly out of their pockets), but the payer wants low cost and reasonable quality. Policy and technology can promote quality through standardization, but standardized healthcare can muddle the differentiation of services. Healthcare becomes a commodity when a patient or a payer chooses a service based on price alone, with no consideration of quality or convenience—or with the perception that there is little or no difference in quality. While there is a push to involve the patient in more cost-related decisions, payers still exert the greatest control over how healthcare is being delivered. They control what is paid and often dictate whom a patient will see for his or her health needs. Since radiologic procedures are widely used and costly in the aggregate, imaging will receive great scrutiny and be the subject of cost-reduction efforts. The service lines of a typical radiology practice often can be divided into five areas: scheduling, determining medical necessity, examination/imaging procedure, interpretation/reporting, and consultation. When these five areas become segmented and function separately, as car parts manufactured on a production line, this enhances the commoditization of the services offered as a whole. As mentioned earlier, some traditional radiology groups and newer practice models have taken on a more productivity-driven mindset that is often criticized for neglecting quality for greater efficiency. Some will ask the question: How can radiologists benefit from commoditization? Others will want to seek ways to fight it. Due to decreasing reimbursements and increasing volumes, radiology is increasingly treated as a commodity in some areas. 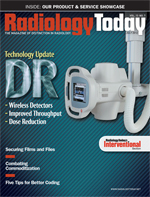 Pricing creates competition among traditional radiology practices and the various newer models enabled by teleradiology. Quality standards can get lost in such comparisons. The more price is the sole deciding factor among patients and payers, the more the service gets framed as a commodity. But do radiology groups really have to choose one or the other or can they create a balance between ideal productivity models and high-quality customer service and care? Can radiology groups keep their independence and avoid the commoditization trap? • Scheduling: Referring physicians typically access radiology services by scheduling an examination. Scheduling can be commoditized through the increasing number of utilization management companies controlling the access of patients to imaging services, cutting out direct input from a radiology practice. If scheduling is outsourced or automated without direct radiologist input, how can service volumes be controlled? Communicating scheduling strategies with practice leaders and holding weekly team meetings can help keep radiologists on the same page in respect to volume as well as providing staff with an overview. • Examinations: Radiologists are becoming less involved in performing diagnostic examinations and imaging procedures. Because optimum efficiency requires uniform examination protocols, radiologic technologists can now perform most imaging procedures without a radiologist. The declining numbers of fluoroscopic examinations and the increase in technologist- or clinician-performed ultrasound examinations has decreased patient-radiologist contact and the need for an on-site radiologist. Radiologists, however, can no longer function as the “man behind the curtain” if they want to maintain a business model that isn’t commoditized. Giving patients a face—and seeing theirs—can add value and create differentiation. • Interpretation: A radiologist can interpret an exam any time and almost anywhere. Remote, outsourced interpretation is often viewed negatively, which gives radiologists the opportunity to champion quality by establishing their own off-hours interpretation and reporting. New reporting technologies have proven value for referring physicians and can also improve the quality of reports made by outside radiologists. The quality among standardized reports is frequently indistinguishable. Independent practices benefit from creating a personal touch to their interpretations, with detailed reporting and analysis—and be available face to face as needed. • Consultation: A high-quality examination is nothing without an accurate interpretation. The single largest opportunity that radiologists have to build relationships, add value, and differentiate their services among patients and referring physicians is to step out from behind the curtain and consult on the meaning of the image. Radiologists should discuss the results, recommendations for treatment, and next steps face to face when convenient for their patients and referring physicians. To fight the trend of commoditization, radiology groups must understand what their patients, referring physicians, and hospitals value other than price—and, in some cases, educate them on issues beyond price. In today’s rapidly changing policy environment, there are a few ways that radiology groups can take advantage of existing trends. One differentiator might be subspecialization geared toward either systems or organs but which also offers specific imaging services to different customers based on their needs. Another involves payment bundling by adding related services to a core product. Radiology groups might also bundle a product that is specifically targeted at certain customer segments, as we are seeing in mammography, cardiology, and neurology. The key for groups is to consider how they will maintain their independence and avoid or minimize commoditization of their services. The bottom line is that radiology groups must work to be judged by more than price and seek ways to run their business beyond efficiency. To secure their profession, radiologists cannot forget their role as highly qualified consultants and must innovate and personalize their business models beyond just putting in more hours and creating a new customer service environment. Scheduling should be continuously improved with appropriateness criteria; new technologies should be utilized to measure high-quality care; and, most importantly, radiologists must maintain their education and skill levels to improve interpretation and reporting—in essence being more advanced than the competing clinical specialist. Mark Twain noted that “denial ain’t just a river in Egypt” and, in conclusion, radiologists must act on the reality that commoditization is seeping its way into their core offering. As consultants, they must strive to minimize the commoditization trend. The solution, while not immediately clear, will redefine how successful radiologists conduct business in the future. — David Myrice, CPA, MBA, is a senior finance manager and practice administrator with Medical Management Professionals, Inc.